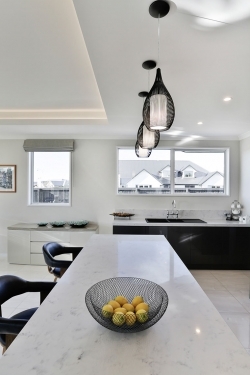 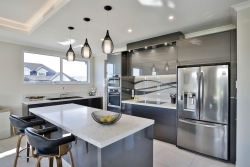 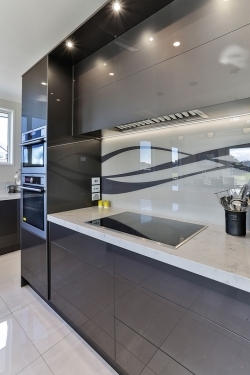 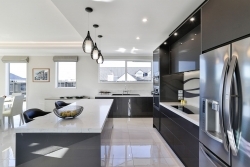 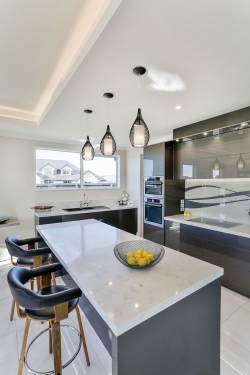 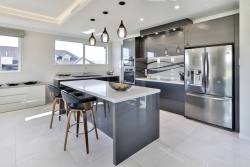 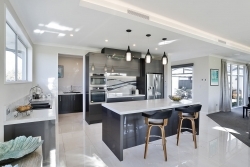 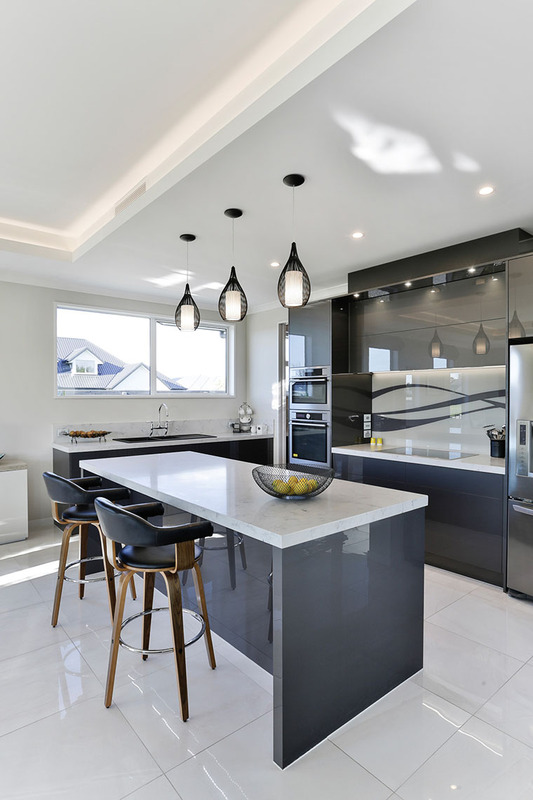 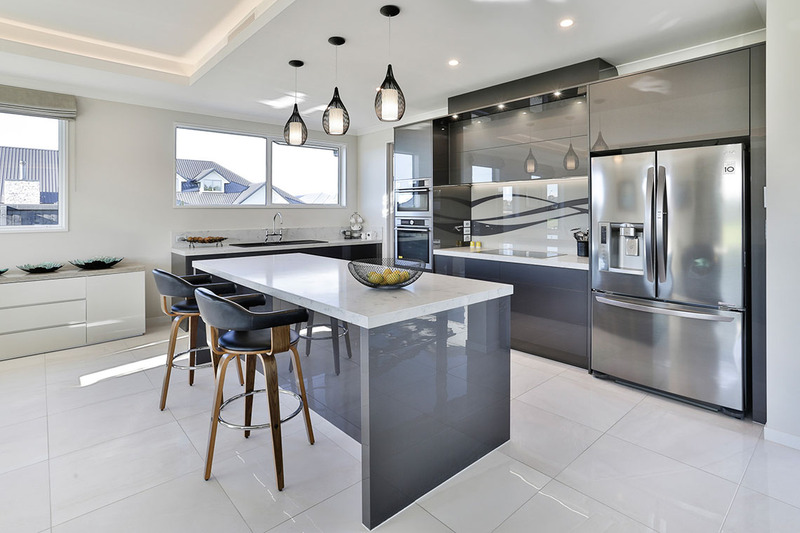 When Peter Blay, a professional builder by trade, wanted a design for his own kitchen in his new home, he made a beeline for Kathryn Lanham from Mastercraft Kitchens North Canterbury – Millbrook Kitchens. “I’ve known Kathryn for quite some time,” says Peter. “We’re on the same wavelength and we know how each other thinks. 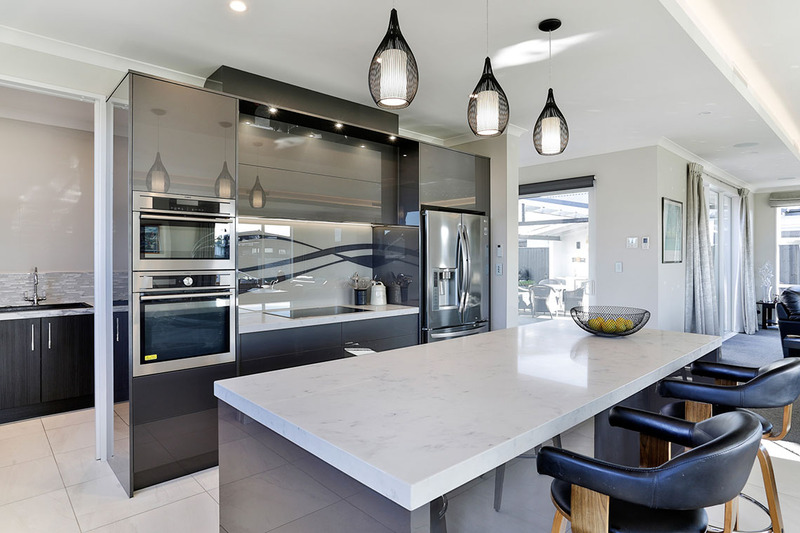 I’d done a lot of projects with her in the past, and she has always been really good to deal with, with no issues,” he adds. 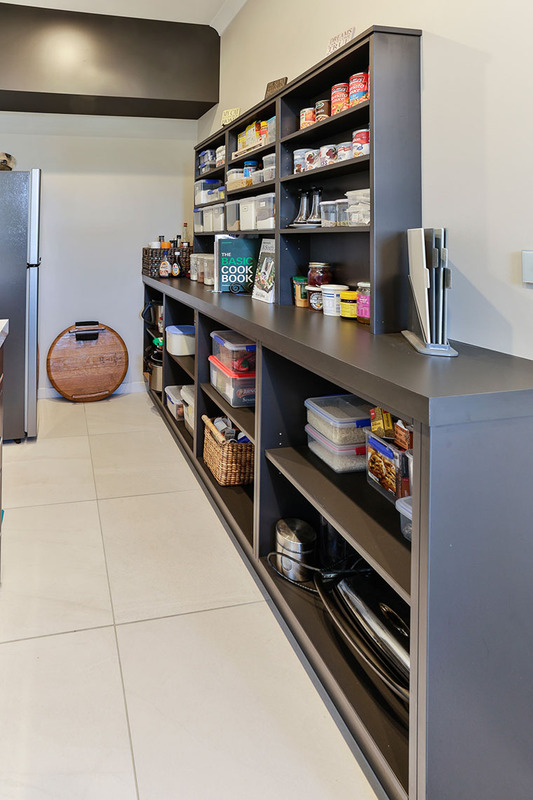 Being a builder, Peter knew roughly what he wanted in terms of layout and functionality – he just needed Kathryn’s expert eye and knowledge to turn his concepts into a fully working kitchen. 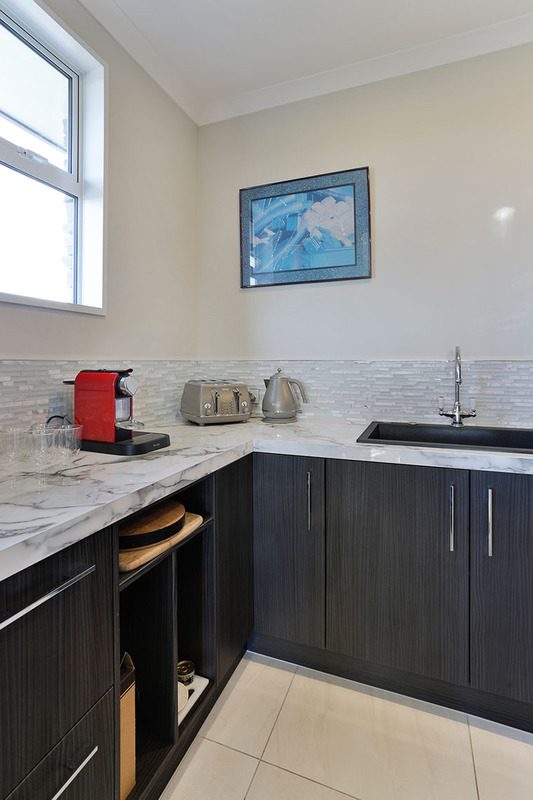 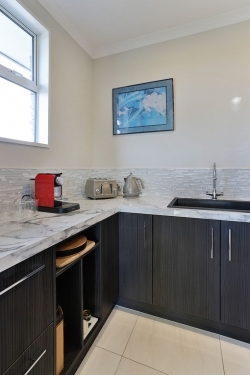 “Peter’s brief to me was for a modern elegant kitchen with streamlined styling and lots of storage and functionality. 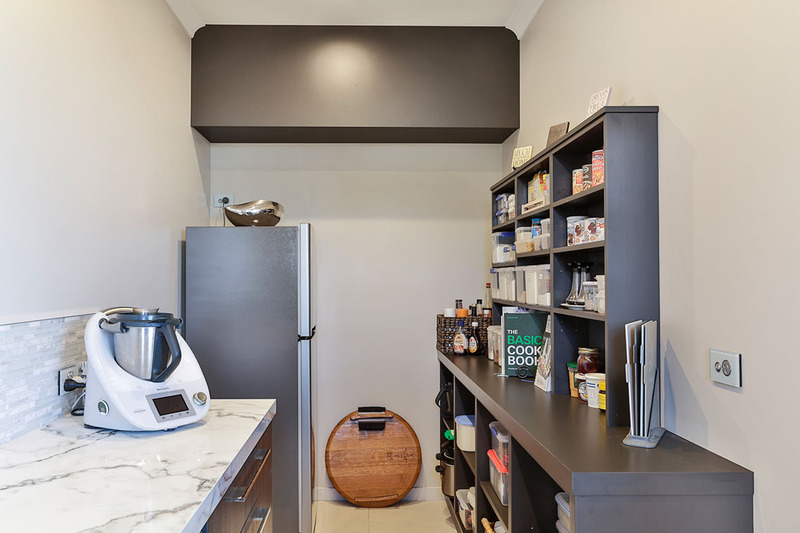 He also wanted a large butler’s pantry, with lots of open shelving for easy access,” says Kathryn. One of the pivotal factors in Peter’s decision to go with Mastercraft Kitchens was the display kitchen in their Rangiora showroom. 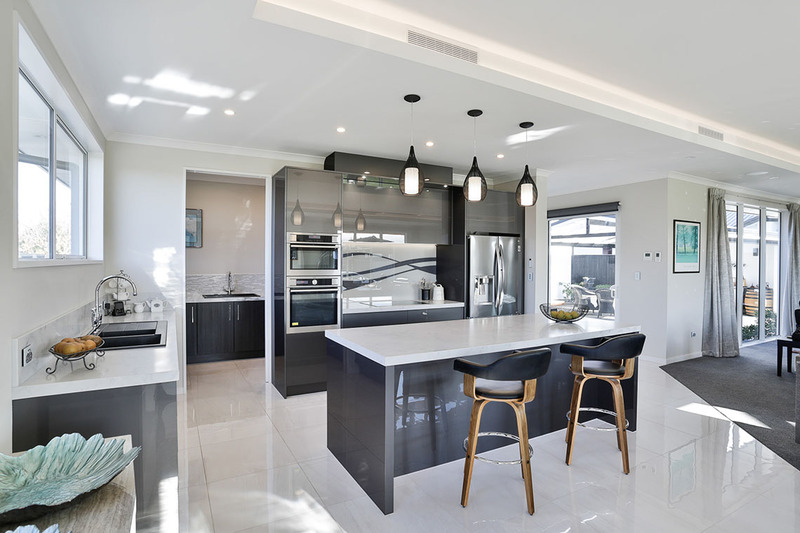 “As soon as I walked in, I liked the colour and I liked the finishes – we just needed to make it work in my space,” he says. Kathryn says that having a showroom certainly helps her clients get a real sense of what their new kitchen will look like – and also to touch and feel materials and try out products before they make buying decisions. 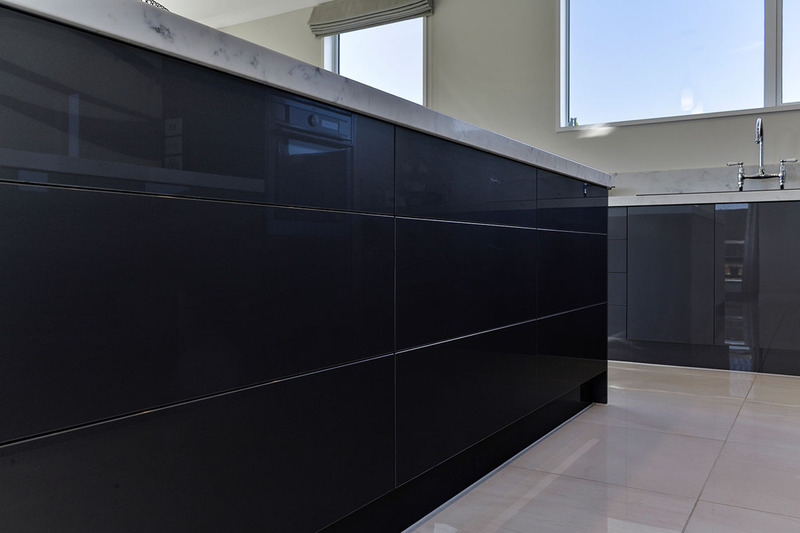 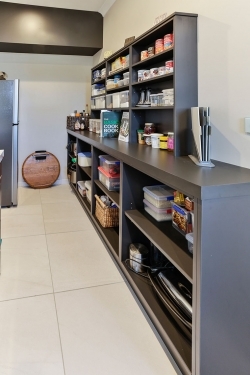 “For Peter’s kitchen, we chose a high-gloss acrylic in a metallic grey colour for the cabinetry in main kitchen, then a more cost-effective, but harder working thermo-wrapped door profile in the butler’s pantry,” says Kathryn. 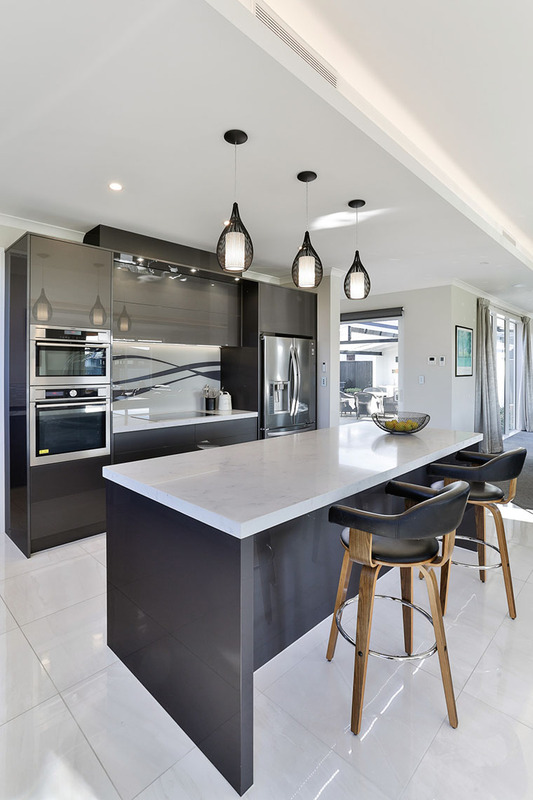 The choice of benchtops followed a similar thought pattern – a marbled-flecked engineered stone in the kitchen and a laminate in the butler’s pantry. 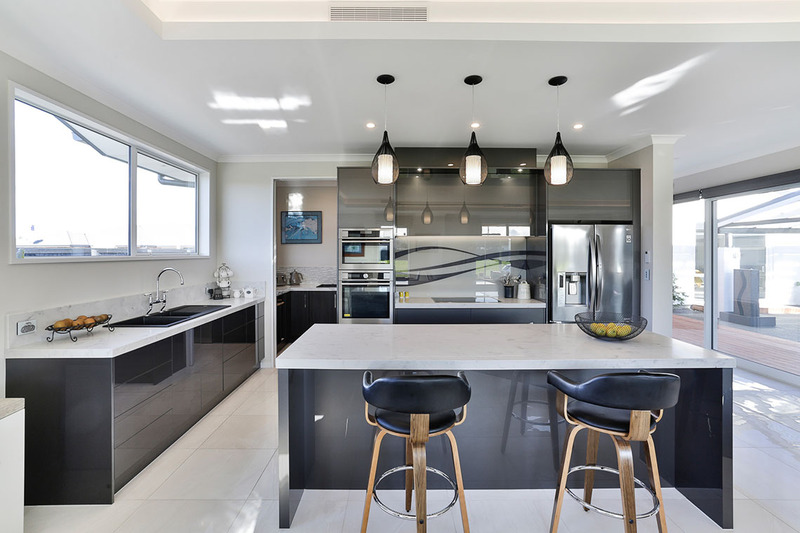 The colours throughout the kitchen are complimentary to maintain a visual connection between the two rooms. “The splashback is the exact same wave pattern as the one in our showroom, colour-matched to the cabinetry,” says the designer. 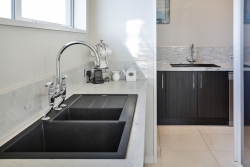 Thinking ahead, Peter had bought the appliances and many of the fixtures and fittings, such as the sinks and tapware, well before the design stage. Having the exact specifications for these large items certainly helped the designer fit everything into her design and also visualise what the finished kitchen would look like. 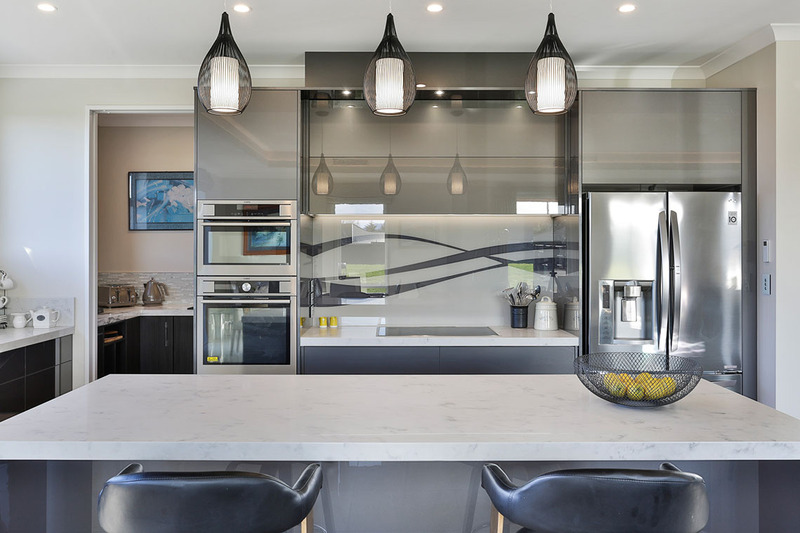 The result is a sleek, well-coordinated kitchen that works on every level – thanks, in no small way, to understanding and respect the designer and the homeowner have for each other. This kitchen was proudly designed, manufactured and installed locally by Mastercraft Kitchens North Canterbury.